This month we announced the release of Bigger Brains learning for Microsoft Office. Interest has been high and we got a whole bunch of questions. We decided to cover those questions in this blog post. Bigger Brains is an eLearning company in the US. It was founded by Chip Reaves, who has a tremendous amount of content covered for IT training. Each course includes the best trainers in the area. What’s exciting is that each course is built around two people interacting with each other in a very engaging format. A trainer and a learner have a dialogue with each other, where the learner is asking questions and gets a response with video examples. This video is a part of the Microsoft office course. All materials for the course are put into the comprehensive order that helps the learner to progress from the beginner to advanced level. What does it look inside DeskDirector Portal? 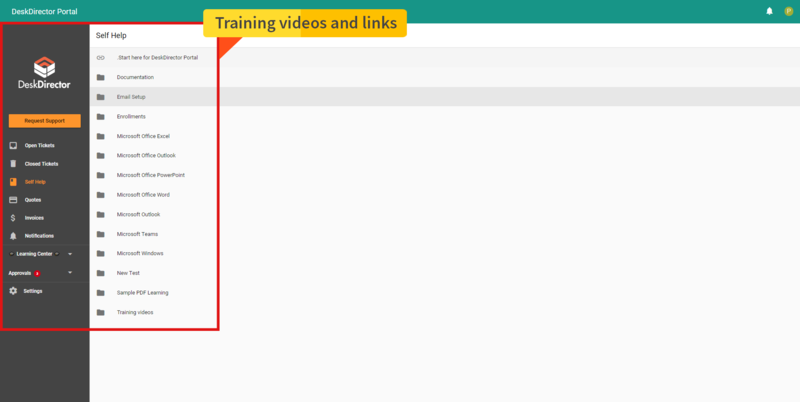 The bigger Brains course runs on top of the new built-in DeskDirector Portal Learning Management system (DD Learn). The content is logically arranged guiding you from first steps to mastery. At any stage, you can go faster or skip a lesson. You can repeat as often as you like too. Everything that you would expect from the Microsoft Office. Obviously, the basics like Word and Excel, plus all the new stuff in the Microsoft Office 365. Exciting things like Planner, Groups, OneDrive and OneNote. All these come from the beginner and all the way through intermediate and advanced levels. 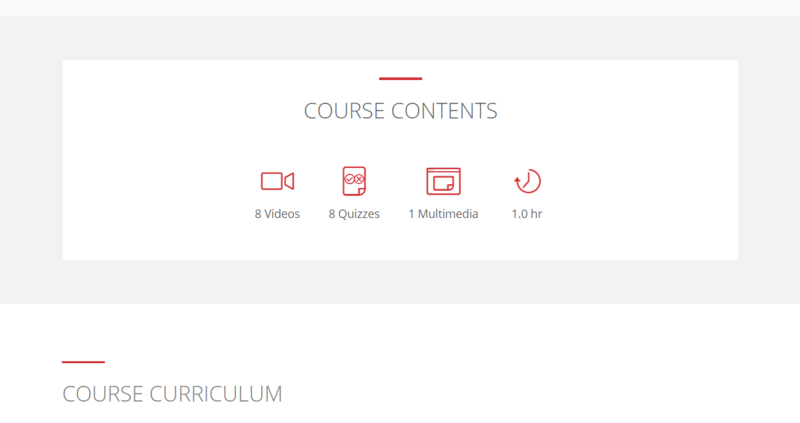 The Bigger Brains course is a ready to go product right out from the box. Bigger Brains put a lot of effort to make it well rounded and comprehensive eLearning training. So, it is not something you can edit but you can control who receives the course. You can buy learning directly from BiggerBrains but it will be a separate application. With DeskDirector, your customers are auto-enrolled and enjoy single sign on. If you give it to all your customers or one of them, they all be automatically enrolled and they will be automatically logged in when they go to DD Portal. People have short time to do training. That is why you don’t want them to spend another 10 minutes trying to remember passwords. With DD Portal, it is quick and simple. They get straight into the learning, take quizzes and go-ahead with other things. In short, you just assign the courseware and forget. We take all the admin work away, saving you and your client’s time. Why should a managed service provider (MSP) buy this course? 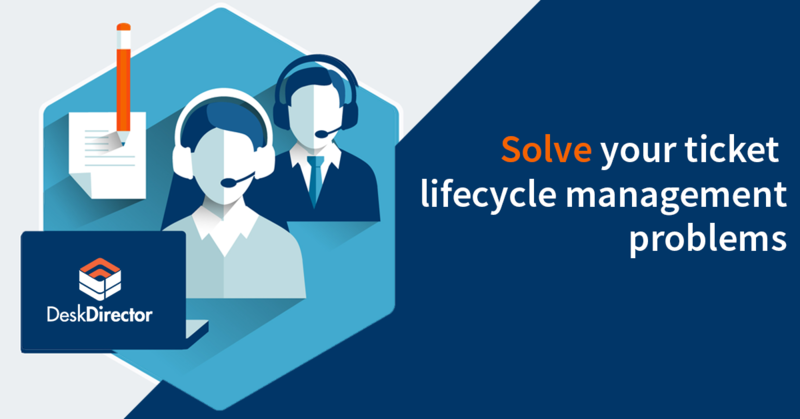 Making your customers more productive is a great way to add value to your managed service agreement. You know that 90%+ of your customers are going to use Microsoft Office every day. Most of them could be better trained if it was conveniently available. That applies to your own people as well. Customer training will directly affect your MSP revenues and costs. Here’s a fantastic opportunity that you can’t miss. You can choose to give it away as part of your managed service agreement or you can choose to invoice for that. The choice is yours. How much does it cost and how I can set it up? 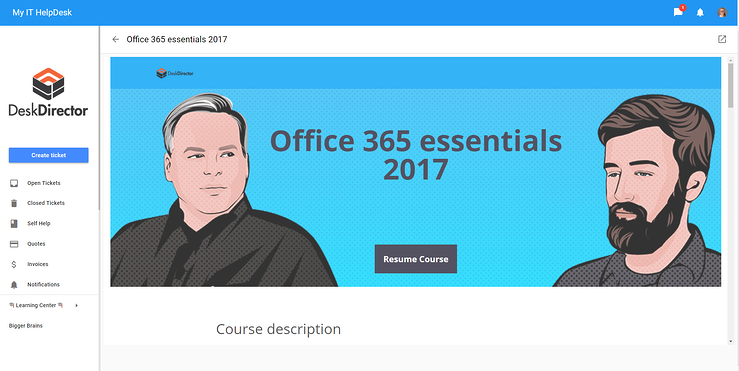 Bigger Brains course for Microsoft Office is $127 US / month and you can give it to as many customers as you like (or staff). We give unlimited usage across all your customer base. Anyone who logs into your DD Portal can run this content. However, they don’t get it automatically, you have to choose who gets it first. You can give it to all of them without extra licensing costs or choose specific companies. All for one price per month. You can turn it on from your admin console at any time and it will be available for you within one business day. Please note, if you are on older version of DD Portal, please contact support@deskdirector.com and we will set it up for you. To learn more about Bigger Brains click here. Contact us directly or comment below and we will get back to you!